إذا كنت تبحث عن فندق بموقع جيد في روتوروا، فقد وجدت ضالتك في Ibis Rotorua Hotel . يمكن من هنا للضيوف الاستمتاع بسهولة الوصول إلى كل ما تقدمه هذه المدينة النابضة بالحياة. يشكل هذا الفندق ملاذاَ مريحاً للاسترخاء ويمنح زواره فرصة للاستجمام والتجدد، وهو يقع على بعد خطوات من المعالم السياحية الكثيرة للمدينة كمثل: ‪Eat Street‬, ‪St. Faith's Anglican Church‬, Cottage Flair. إن حسن الضيافة والخدمات الراقية التي تعرف بها Accor Hotels تغني تجربتك في Ibis Rotorua Hotel. هذه بعض الخدمات الموجودة في هذا الفندق: مكتب الاستقبال على مدار الساعة, مرافق مخصصة لذوي الاحتياجات الخاصة, تخزين الأمتعة, واي فاي في المناطق العامة, صف السيارات. يمكن للنزلاء الاختيار من ضمن مجموعة من الغرف المصممة بعناية لتعكس جواً من الراحة، والتي يتجاوز عددها 145. يقدم الفندق خدمات رائعة كمثل مركز للياقة البدنية, ملعب تنس لمساعدتك على الاسترخاء بعد نهار طويل من النشاط والتجوال في المدينة. 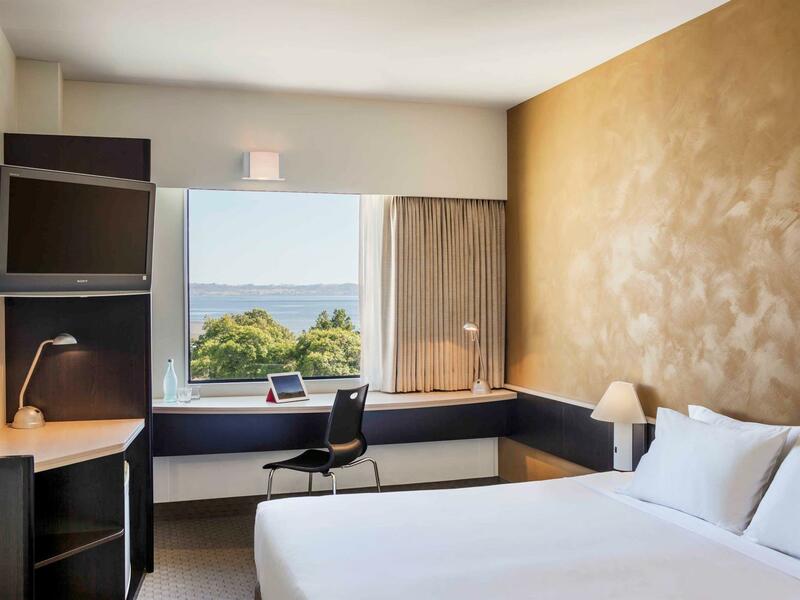 اكتشف مزيجاً ساحراً من الخدمة الاحترافية والخيارات الواسعة من وسائل الراحة والمتعة في Ibis Rotorua Hotel. I booked a king room. As I checked into the hotel the person on reception was very friendly and told me there was only a room on the ground floor. She confirmed there was a bath. On getting into the room the bed was a double not a king, there was no bath and the room was right next to the front door so very noisy. As I checked out I told the staff member the room was very noisy and I was woken up multiple times and she wondered why I was given that room as I did not check in late. Commisersted with me and said would take to management. That's nice but doesn't help me. I would never stay here again. Value for money is poor. Good value hotel in excellent location. Lake views and just around the corner from Eat Street, full of bars & restaurants. Also, guests can use the facilities of the Novotel, which include a great thermal pool. Hotel located arround the city, 5-8min walk from Rotorua I-site center, hotel in a perfect location next to Novotel, near to eating place, shops, and just next to the lake. Room is very clean, check in and check out very convenient and fast. The only problem is the PILLOW, I can say this is the worst pillow i ever had, its not hard not soft but flat.. The feather is too little for a pillow, even you put two pillow, the feather still drop down to flat and really not comfortable for sleep. Overall is good and we will be back. Room came with double beds and very spacious. Front desk staff were really helpful in providing information on tours and sightseeing around Rotorua. Check in was fast within 5 mins. You can park your car at the back, if not available there are plenty of free parking at the road in front of the hotel. Breakfast is recommended as they have quite a number of choices like bacon, scramble eggs, sausages, bread, cereals and fruits. The hotel is near the lake Rotorua, There are a few restaurants and malls closeby to the hotel. In Rotorua you can smell sulphur wherever you go and at times the shower water smells very mild sulphur too. 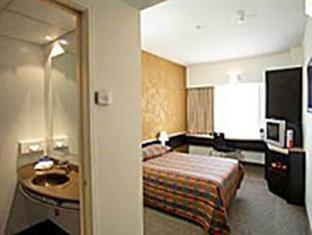 ibis hotel, rotorua - gave the high standards that you would expect of an ibis. very pleasant and helpful team on reception desk. room was clean, a good size and well equipped. bathroom well up to standard, with good shower are and piping hot water. good value hot buffet with a good selection of hot and cold food, fruits etc.. - good start to the day. reasonably central location, 5/10 minutes between lake, main street and bus station/i-centre. no complaints and would stay again. Because it is so close to the lake and to town , you can leave your car in the under cover car park below the building. You can walk everywhere and close to cafes and hotel bars and night clubs and close to the attractions. Very nice lake views, good prices for a smaller basic room that has air conditioning. Not much sulphur smell in this hotel! It has a good shower and a firm bed and sky TV. The rooms came with few facilities, but nevertheless clean and essentials like towels, toiletries, kettle and hairdryer were provided. The hotel was centrally located and within walking distance to the lake front. It is value for money! 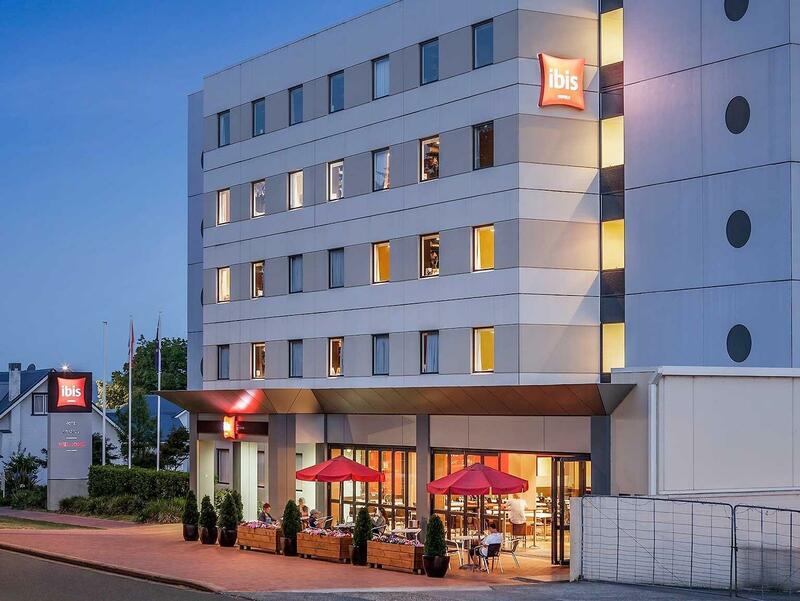 Very happy to stay at Ibis Rotorau as its really value for money. 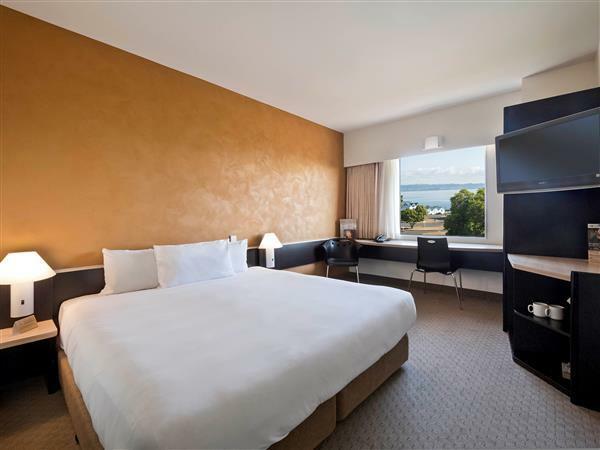 Room is spacious and clean.. walking distance (3 mins) to the Lake Rotorua.. there is a pizza hut restaurant thats opens till 9-10pm..
the room was very spacious and comfortable for three people. hair dryer, iron stand etc were all provided, plus a safe. room is clean, but pillows aren't that plumped up. 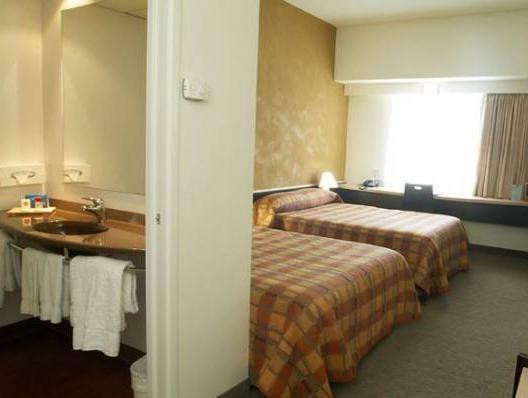 hotel is one of the best in town and is located close to the shopping center. there is plenty of shops, restaurants and facilities nearby. the hotel is in a great location. staffs were freindly and helpful. hotel facilities are new and up to standard. the only set back is that the toilet and hotel room is abit too small. there rest of the fscilities are great. Great location, near to many eateries and the lake itself. The is room is very basic and clean but I find the bed to be too soft. The serivce staff is friendly and nice. 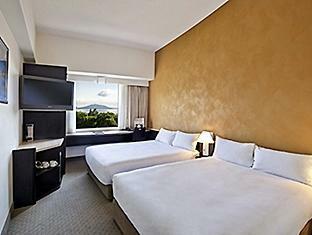 Might consider to stay at Novotel, which is just beside but even nearer to the lake, the next time round. Good location. Has all the requirements needed. Overall, the hotel is a good hotel. The place is is very comfortable and I believe among the best in town. The staff are very well trained and make you feel at home. The check-in was very quick. The room has all the basic needs. The location is perfect, parking is free and in the same building. 5 min walk to the best restaurants in town. I specially would like to thank Nicole at the reception. She made our stay even better. I definitely plan to stay there again if I visit Rotorua. Location, Room & overall are awesome. Spacious Room for 2 of us with a view. Happy! Only stayed here for one night,on our way from Auckland to Napier. The staff were very friendly and helpful and it was very clean and tidy. Lovely bar/restaurant area with Christmas decorations and candles making it homely. The location is very central with shops bars and restaurants just 5 mins walk away. There are gondolas just 10 mins drive away that take you to the top if the mountain with wonderful views and a very nice cafe/ restaurant. Very welcoming staff went out of their way to get me a toothbrush. Room was nicely laid out and had everything needed - especially including FREE internet which EVERY hotel in 2015 should have. a 5 minute walk from the main eatery area of downtown Rotorua, view of the gorgeous lake. Just brilliant for the price. Ibis hotels have small rooms but they are very clean and the staff is always friendly and this Ibis one is no exception. Ended up parking the car and walking around the downtown area from the hotel. It's close to the lake and the walking bar street so was easy to stumble home after a night out.